Who was playing 10,000 recording sessions? Who got credits on song like „Those boots are made for walking“ from Nancy Sinatra, „I’m A Believer” – The Monkees, The Batman theme or Ritchie Havens „La Bamba“? 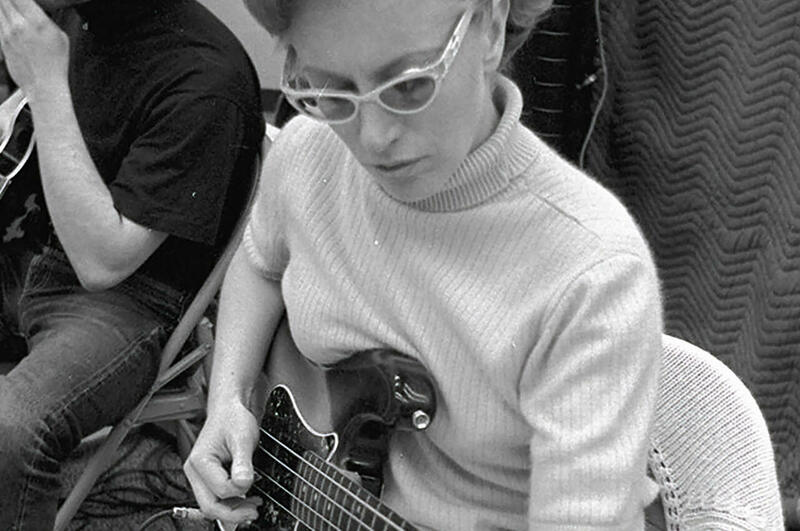 Do you know Carol Kaye? I guess not. Kaye played bebop jazz guitar in dozens of nightclubs around Los Angeles. By her own account, Kaye got into lucrative studio work „accidentally“ in late 1957 with Sam Cooke. Kaye played 12-string guitar on Frank Zappa’s album Freak Out!. Kaye was one of the core group of anonymous studio musicians who lent her unique styles of studio Guitar and Electric Bass playing to many of the hits recorded. Carol taught me more about the bass than is decent. Kaye says: „Jazz musicians invented rock lines. We could cut rock & roll real fast. We invented lines every night. Rockers weren’t good enough to play their own music. They had poor technique and the sound and feeling were wrong. They were stars, not musicians.“ By 1964, Kaye was the No. 1 call player. Kaye is modest, however, about being regarded as a pioneer for women musicians in contemporary pop. Aside from her busy recording job, Carol had been not only teaching bass, but self-publishing her own manuals, then VHS tapes, then DVDs, since 1969. So part of getting a lesson from her is getting access to these time-tested copies of her books and pamphlets bursting with various riffs she had created and played throughout her career. Carol is the coolest cat on bass ever!